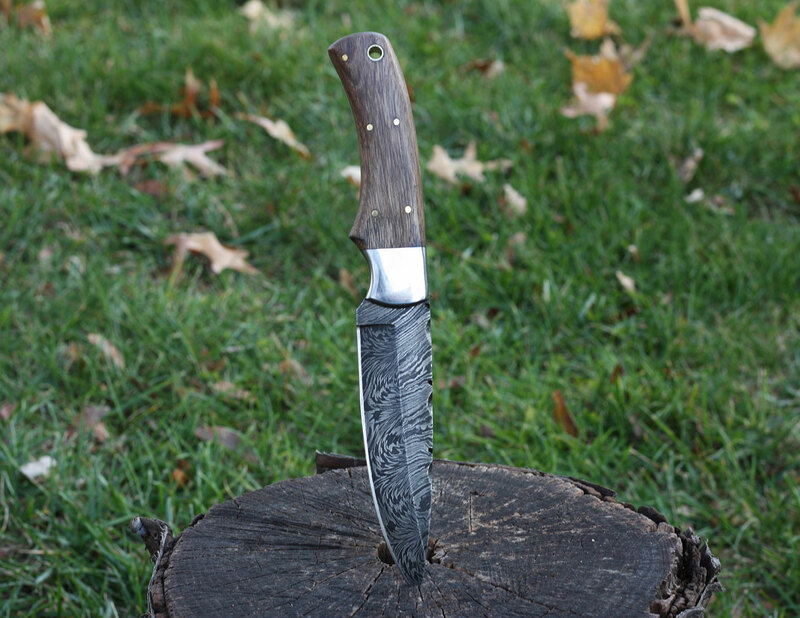 Always have a reliable and durable hunting knife handy with the PRISCILLA Handmade Damascus Steel Hunting Knife. 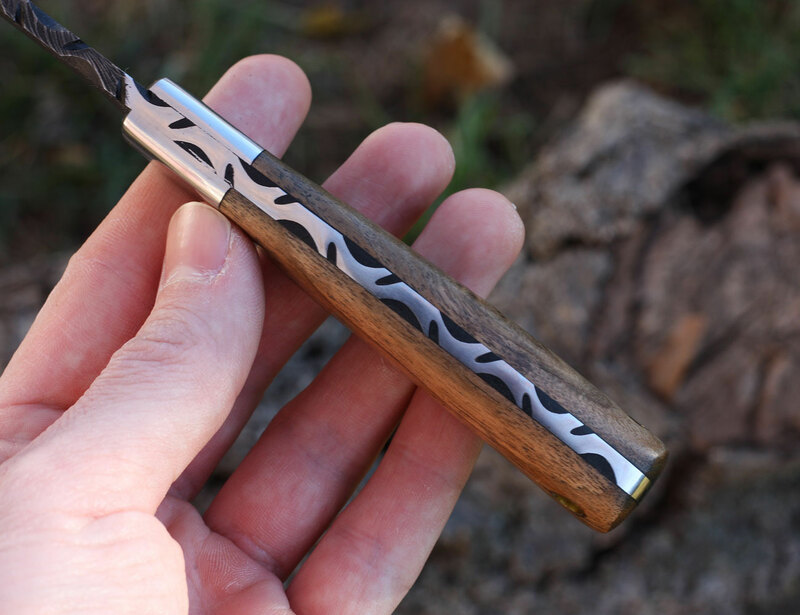 Always have a reliable and durable hunting knife handy with the PRISCILLA Handmade Damascus Steel Hunting Knife. Offering high-quality craftsmanship, the PRISCILLA is ideal for heavy and frequent use. 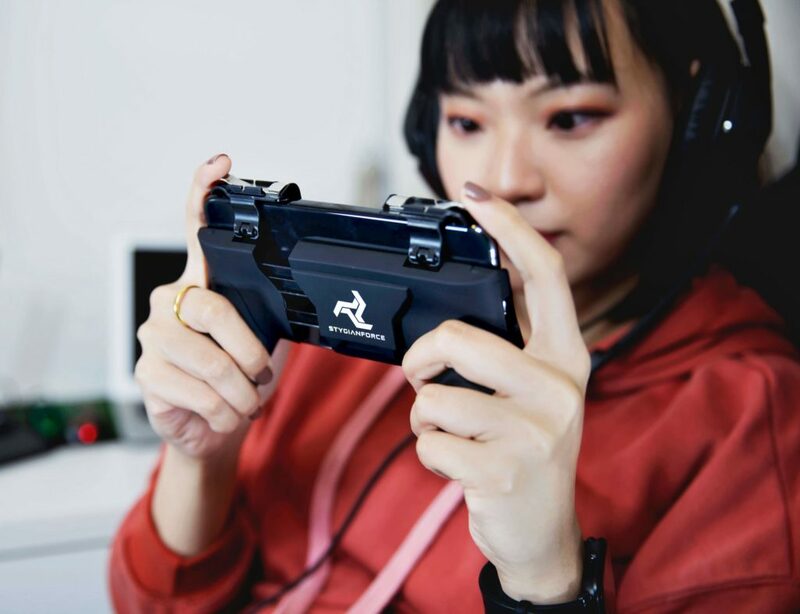 Likewise, its strong structure allows it to last a lifetime. 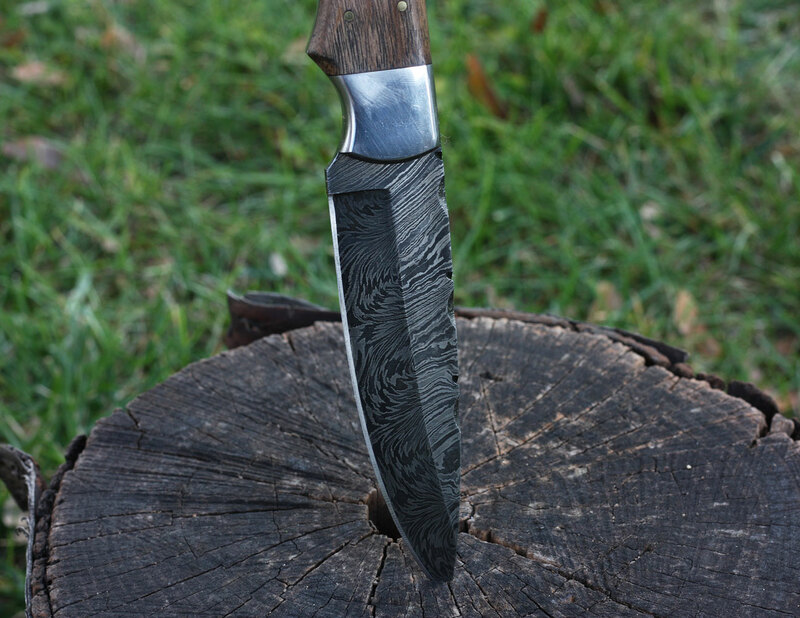 The PRISCILLA features a hard walnut wood handle, stainless steel bolsters and a Damascus steel blade. 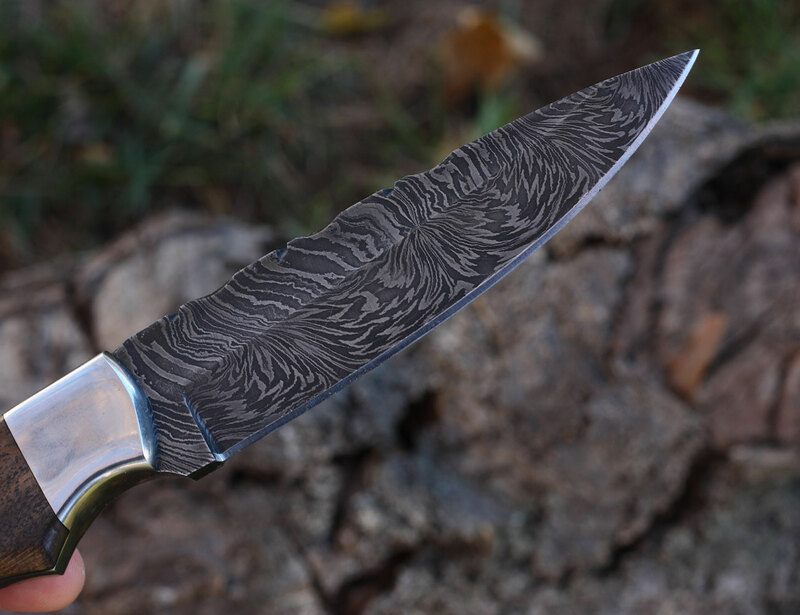 Similarly, the Damascus steel blade is always razor sharp, using steel sheets of grade AISI 1075 and AISI 4340. 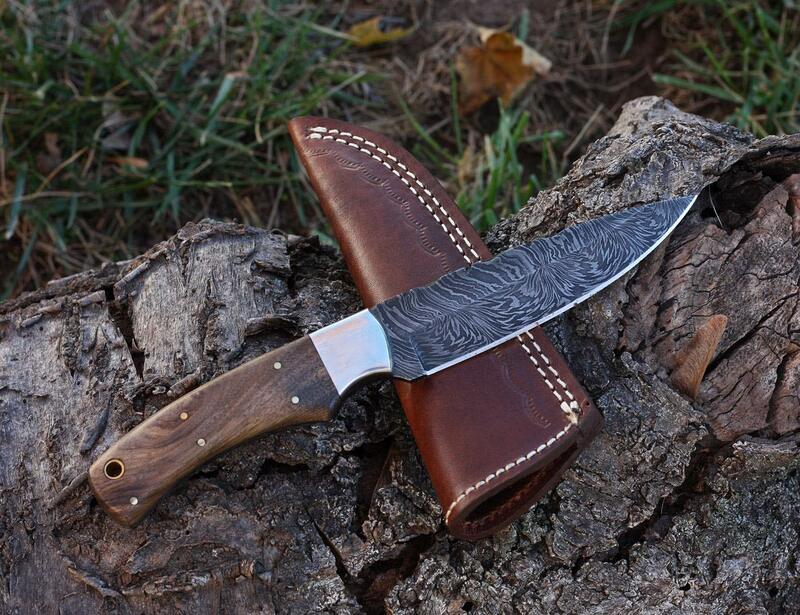 Furthermore, it comes with a handmade, hand-sewn genuine leather sheath, making it convenient and safe to carry with you at all times. 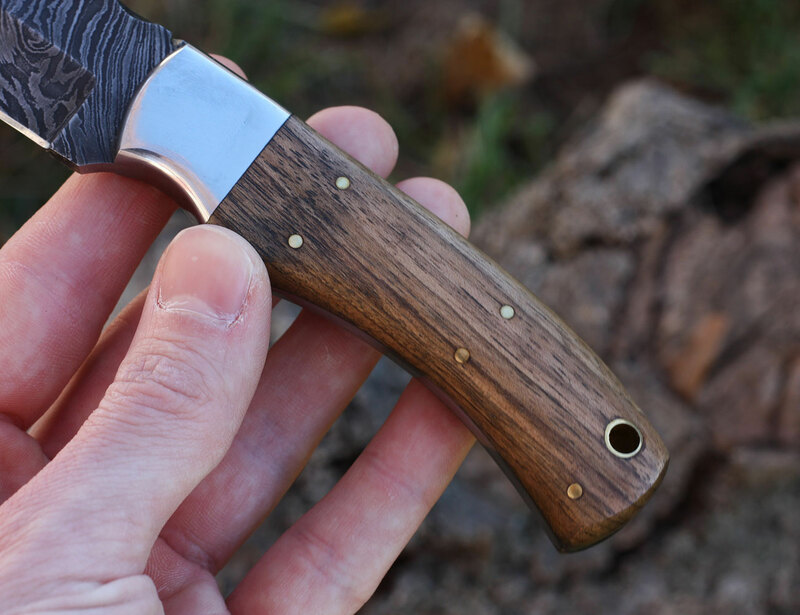 In addition, the knife features an overall length of 8.75 inches and weighs just 7.3 ounces. 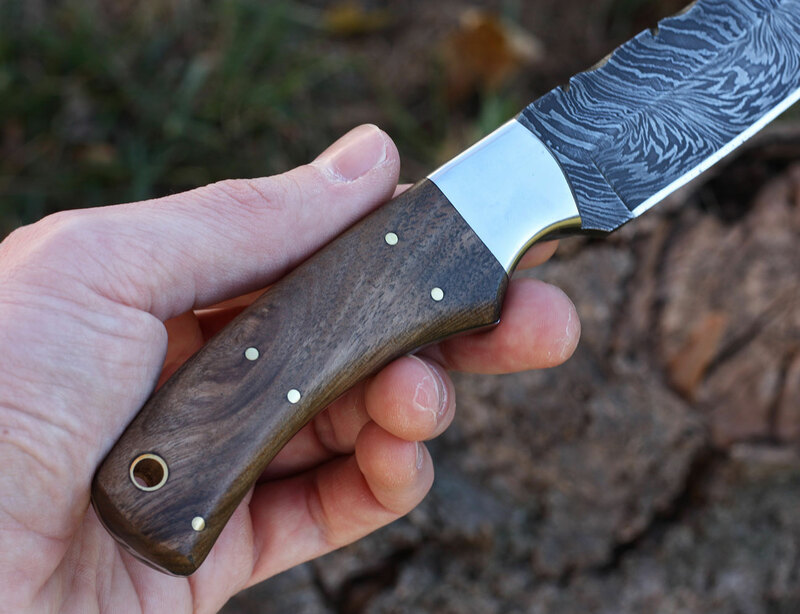 Finally, each blade offers hardness above 56 to 57 on the Rockwell scale.